When we think about what might help the church engage with an ever-more-hostile world, the issue isn’t that we don’t have enough apologetic books (we have tons of them). The issue is that we don’t have the right kind of apologetic books. There is a trend in apologetics today towards what I might call a “minimalistic” approach to defending the faith. Basically this is where someone tries to prove the least amount possible about Christianity in order to get the non-Christian to take one step in our direction. And this is typically done with an evidentialist methodology using the so-called consensus of modern scholars as the main authority. There are a number of challenges to this sort of approach which I cannot take up here. But, what is needed is an apologetic approach that is more full-orbed, holistic, and worldview-oriented. Such an approach doesn’t simply try to placate the non-Christian by meeting his requirements, but it challenges the non-Christian’s worldview from the inside out. Such an approach is embodied in James Anderson’s new book, Why Should I Believe Christianity? (Christian Focus, 2016). 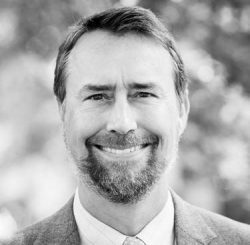 Anderson, Associate Professor of Theology and Philosophy at RTS Charlotte, has written one of the most compelling cases for the truth of Christianity that I’ve ever read. It is very accessible. Anderson has written in a clear, easy-to-understand style, with a number of really creative illustrations. It is philosophically compelling without using all the philosophical jargon. 2. It is written for the non-Christian. 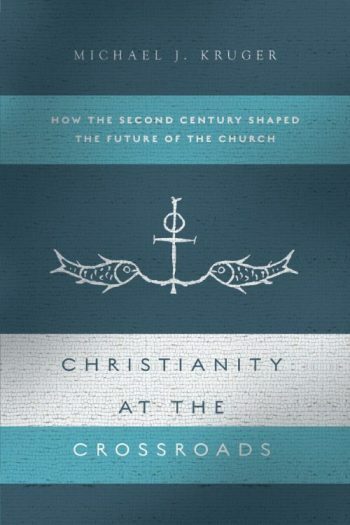 The main goal in this book is not to teach Christians how to make the case for Christianity, but instead Anderson makes the case directly to the non-Christian. Thus, the book is written in the second person as he addresses the reader directly. In short, this is a great book to give to a non-Christian friend (this doesn’t mean, of course, that it isn’t also encouraging for Christians to read). 3. It is a positive case for Christianity. Unlike most apologetic books, Anderson does not focus on all the objections or complaints offered by the non-Christian. Although he does address some objections, the book has a more positive ethos and is designed to make the case for Christianity rather than answer objections against it. James Anderson does a masterful job … This book will be a necessary tool for anyone interested in addressing arguments against Christian truth. You can purchase Anderson’s new book here. Filed Under: Apologetics, Authority of Scripture, Reformed Theology Tagged With: Apologetics, Defense of the Faith, James Anderson, presuppositionalism, Why Should I Believe Christianity? This sounds like a great book. Thank you for the recommendation.